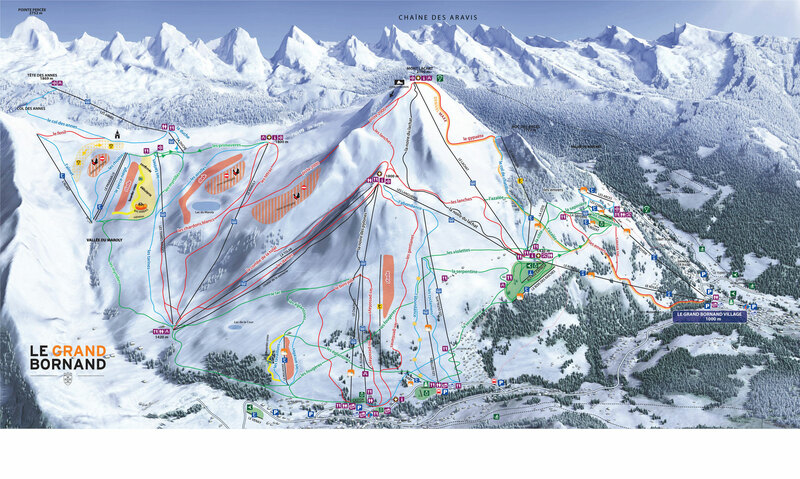 Le Grand Bornand ski resort has 90km of piste between 1000m & 2100m. 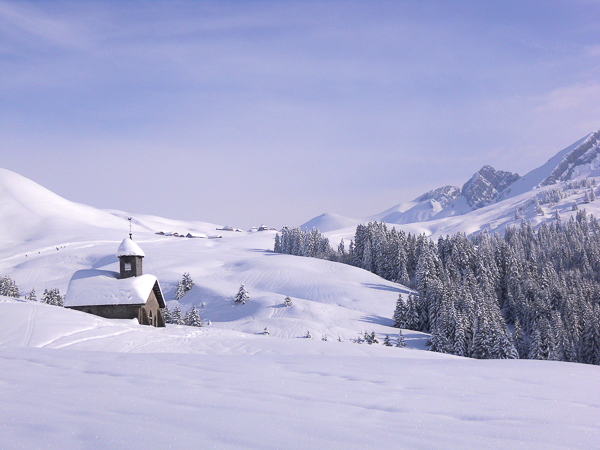 Along with La Clusaz, Grand Bo forms part of the greater Aravis Ski Domain, which has 220km of piste between 1000m & 2500m in total, and all areas are linked by a free ski bus. 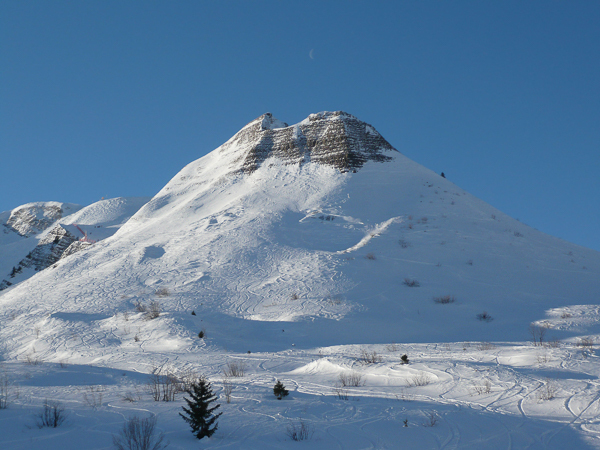 Each resort has its own character and offers up plenty of skiing to fill a day – guests normally choose to explore one or the other for each day of their stay, though they are only a 10 minute ride from each other on the ski bus should you choose otherwise. 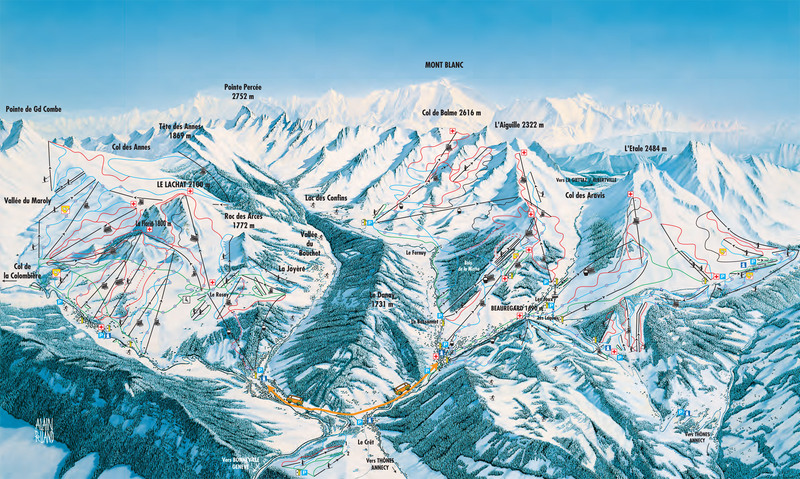 All of our ski breaks in the area include a full Aravis Region lift pass, covering both resorts, in the package price.